In this series so far we’ve been talking about all the changes affecting our sector, and what investors should be thinking about as a result. 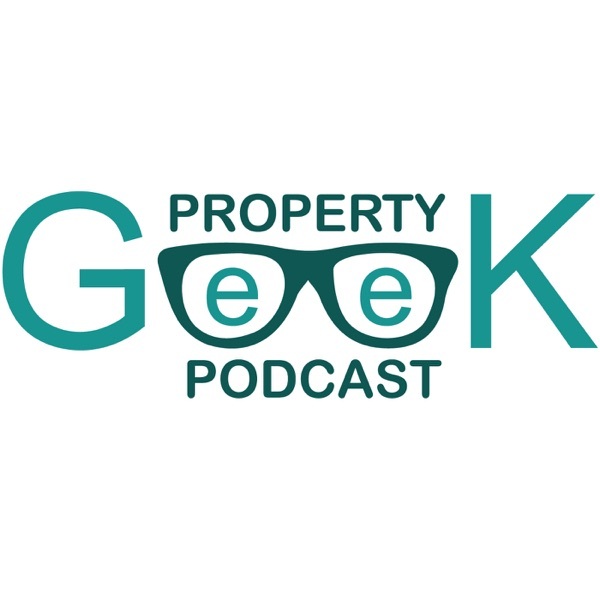 In today’s episode, I catch up with three Property Geek listeners who have all rethought their strategy recently – to find out what they were doing before, what they’re doing now, and what factors played into their decision. Over the last few episodes we've covered various ways of funding property projects, in addition to the familiar options of cash and mortgages. In this episode, I round off the series by summarising my main takeaways and suggesting how to choose the most appropriate form of funding. Joint ventures (JVs) get talked about a lot in property, with good reason: after all, if you don't have the cash to do all the deals you want to do, a JV is a way of solving that problem without going cap-in-hand to the bank. But where do you even start with finding someone who might want to lend you money? How do you structure the agreement? And what happens if something goes wrong? In this episode I'm delighted to welcome Jay Booth back to the podcast, to talk about how he's made JVs work for him – and his friends and family. Jay was on the show earlier in the year talking about how he bought and refurbished nine properties in a year, and in this follow-up chat we get into how joint ventures fuelled some of that rapid expansion. If you own your own home or have buy-to-let properties, you might find yourself with equity you can't access – due to redemption penalties or too-good-to-lose mortgage rates, for example. By unlocking that equity, you could grow your portfolio faster – and in this week's episode, I speak to mortgage advisor Dave Cookson about a relatively little-known way to do exactly that. We're going to spend the next few episodes exploring ways you can finance property projects other than using a mortgage. In this first episode, I set out to demystify bridging finance: a powerful tool, but one that investors often find confusing and intimidating. And it's true – if you don't know what you're doing, bridging can be expensive and even dangerous. But there are certain situations where – with the right knowledge – it will give you access to profitable deals that otherwise would have passed you by. Petra Romero only moved to the UK a year and a half ago, and she's already built up a thriving rent-to-rent business. That's already seriously impressive – but even more interesting is how she's intentionally designed her business to be run by overseas assistants, freeing her up to do what she's best at. Richard and Susie Trow have property management down to a fine art. Thanks to some effective systems and a commitment to quality from the very start, their portfolio of 21 properties in Wrexham takes up less than 2 hours per week – freeing up their time to do what really matters to them. As a landlord, your social status is somewhere between "bankers" and "solicitors" – and you can't open a newspaper without being told how greedy and unfair you are. A lot of this is due to the prevalence of bad landlords. But bad landlords aren't necessarily bad people: it's just that they have no idea what the job of being a landlord is all about, and are flouting laws they didn't know existed. For years, landlords have been telling me that there's nowhere they can go to find the information they need about letting and managing property – no accessible source with all the facts clearly laid out in a logical way. Well, I've put that right: my book, How To Be A Landlord, is out today! Sam Jones had a terrifying experience very early in her self-managing career – but she didn't let it put her off, and she's spent 17 years managing a geographically distributed collection of properties. Now though, she's started using an agent for new acquisitions – but she's not losing the unique ability that made her such a self-managing success. For Sam, property really is all about the people – and she uses her people skills to straddle the worlds of self-managing landlord and hands-off investors. My guest this week, Tom Charrier, didn't intend to have anything to do with managing his properties when he started out – but after one awful experience, he decided to take matters back into his own hands. Now, he and his wife manage their small portfolio of HMOs themselves – and consider their ability to pick the right tenants and build strong relationships to be the biggest strength in their business. Self-managing can be tough. Self-managing HMOs can be really tough. So, self-managing HMOs from abroad...surely that's not a good idea? Well, my guest this week Richard Dyke makes it work – managing his portfolio (including a couple of small multi-lets) from Bergen in Norway. Richard visits several times a year for inspections and maintenance, and has all sorts of little hacks in place to make sure the distance isn't too much of a challenge. This episode kicks off a new series about lettings and management: not the glamorous part of property that it's easy to pack out seminars about, but the very important bit that makes sure your investment runs profitably, smoothly and legally. In this series of the podcast we've been looking at "turning pro" – how to embrace the mindset of a professional investor, so you can continue to thrive despite the more challenging conditions for property investors. During this quick series wrap-up episode I revisit the major themes we've covered, draw some lessons we can take from what we've heard, and look ahead to what's coming up in the next series. The theme of this series has been "turning pro" – so what better way to wrap it up than to speak to someone who's been a professional trader and investor for over 30 years? Jonathan Schuman holds around 300 commercial and residential properties, and has his own private "agency" to manage them. When the credit crunch hit, Jonathan was perfectly positioned with his contacts and knowledge to profit while everyone else was panicking – and he took bold action to seize the opportunity and rapidly scale his portfolio. Buying in an area you're unfamiliar with is scary enough – but David Barker bought his first without seeing it, and his next was a complicated five-unit site in a town he'd never been to. All the signs are pointing towards London's incredible price growth of the last few years coming to an end – and the gap that's emerged between the South East and elsewhere starting to narrow. It's one thing to see those signs, it takes a lot of courage to act on them – and that's what my guest, Phil Whitehouse, has done. Phil has spent the last couple of years selling the small portfolio he'd built up in London, to take his profits and reinvest elsewhere in the UK.